Some of poker's finest accepted hardware at the American Poker Awards on Thursday. The third annual Global Poker Index American Poker Awards, presented by PokerStars and honoring the best and brightest in the industry, are on the books. Ari Engel, Maurice Hawkins and PokerStars Team Pro Jason Mercier were some of the people walking out of the ceremony with freshly won hardware. Engel claimed Tournament Performance of the Year for his win in the Aussie Millions Main Event, the biggest score by a mile in a long and consistently strong career. Hawkins won Breakout Performance of the Year after banking a career-best $581,000 and crushing the World Series of Poker Circuit for four rings, including three Main Events, in 2016. 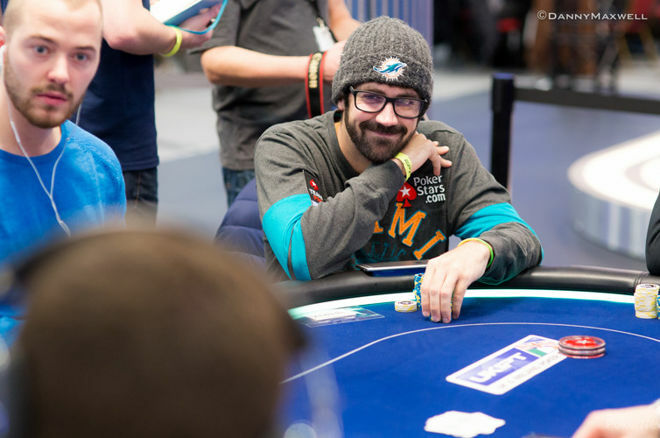 Mercier got Moment of the Year for his epic WSOP performance, winning two bracelets, taking one runner-up score and finishing eighth in a series of four $10K events inside of 10 days. PocketFives' Lance Bradley was the only other person besides Hawkins and Engel to be nominated in two categories; each was a candidate for the award the other won. Like the players, he went one-for-two, taking home Media Content of the Year for "Bob, Charlie and a Life-Changing WSOP Main Event Journey." Special awards were also presented to online legend and 2016 November Niner Cliff "JohnnyBax" Josephy (PocketFives Legacy Award), John Holley (Hendon Mob Award), Mori Eskandani (Lifetime Achievement Award) and Matt Savage (Jury Prize). PokerNews had two nominees — Sarah Herring for Media Person of the Year and The PokerNews Podcast for Podcast of the Year — but both came up short. Winners were selected by a jury of industry experts out of groups of four finalists in most categories. Here's a full look at the list of winners, along with their fellow finalists.